On a study tour in Flanders last week, we came across this fantastic No Waste Cooking (From Potato Peel to Carrot Top) cookbook published by the fantastic KVLV woman’s organisation in Belgium. This cookbook has lots of idea for cooking with ingredients that may otherwise be destined for the compost bin – like carrot top pesto, broccoli stem guacamole and pizza with radish greens. Sauté the radish leaves for 2 minutes in olive oil and season with pepper. Spread the pizza shell with the herb cheese and scatter the radish leaves over. Distribute the pine nuts evenly. Bake the pizza according to the pizza shell instructions. Toast the pine nuts first. Use any greens you have available (spinach, chard, kale). Wilted greens work just as well as fresh. 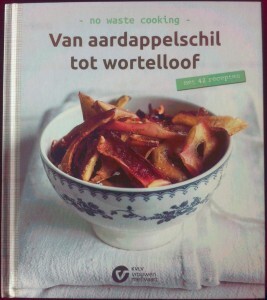 This is also a good use of any leftover sautéed or roasted veg. 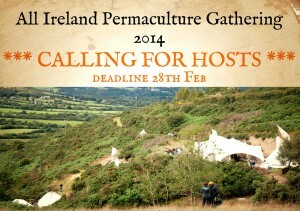 The “All Ireland Permaculture Gathering” is an annual camping weekend that each year takes place in a different location around the island of Ireland (Ireland and Northern Ireland). It’s a non-profit, self-financing, self-organizing, drugs and alcohol free event, family friendly and all the people involved give their time and effort voluntarily. It is about bringing people from different backgrounds, professions and experiences together to discuss, exchange and develop their common interest in environmental design, sustainable and ethical methods to building a better world. 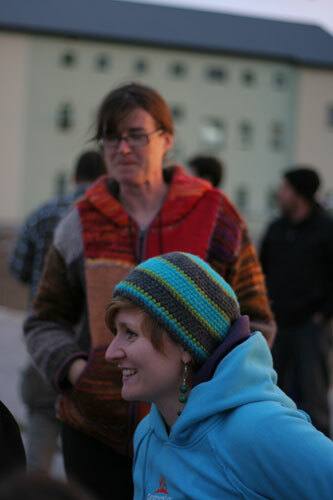 This exchange is mainly facilitated through workshops in an “open space” scheme, without any formal agenda, where everybody is welcomed to participate. 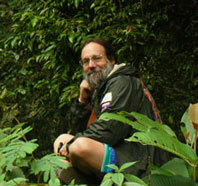 One of my students, Joe Moore, has posted the first of a few interviews with Scott Pittman of Permaculture Institute. I think Scott brings up some good issues in this podcast that need to be discussed more widely in the greater permaculture community. 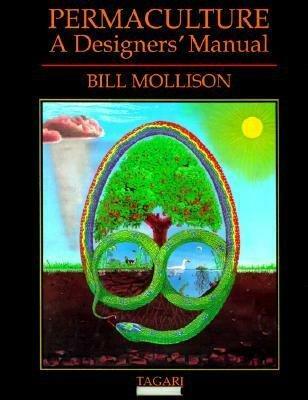 Scott also briefly shares his fascinating and lengthy history with permaculture and the early years of Bill Mollison’s teaching. I hope everyone is having a delightful Spring. Join Graham Bell ,author of The Permaculture Garden and The Permaculture Way, Jillian Hovey, founder of the Sustainable Living Network, Mark Boyle, aka ‘The Moneyless Man’ and the ecovillage’s resident experts of permaculture, gardening, farming, perma-facture and green building for this unique (yearly) opportunity to learn invaluable design and practical skills. This is Cultivate’s 6th consecutive year holding the Full (UK Permaculture Association accredited) Permaculture Design Certificate (“PDC”) Course at Cloughjordan Ecovillage. Thirteen years ago a new course started at Kinsale College of Further Education. Called “Practical Sustainability” the course aimed to draw together a wide range of different skills and disciplines including permaculture design, sustainable woodland management, ecology and conservation, gardening and horticulture, natural building and community development. 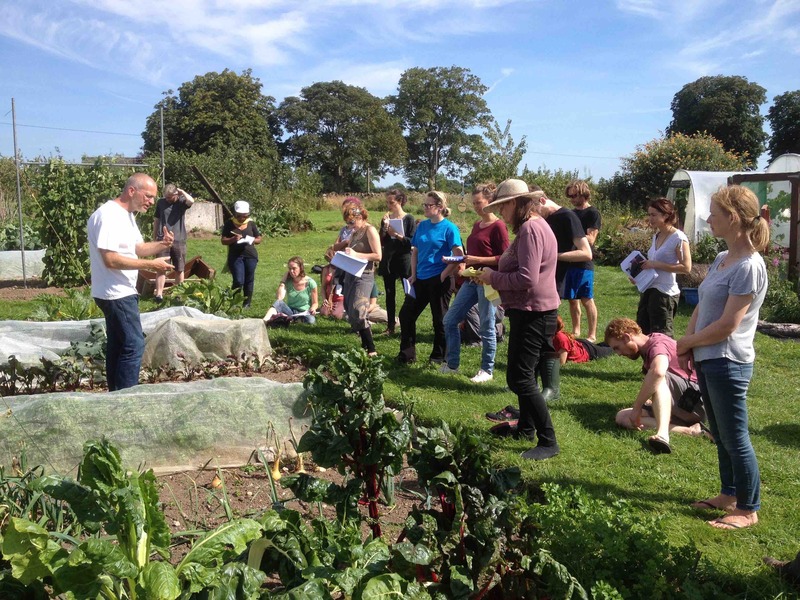 This ambitious course, now called Sustainable Horticulture/ Permaculture, went from strength to strength and within just a few years became one of the largest and most popular courses of any subject in the whole country, attracting students from all over Ireland, Britain, Europe and North America. 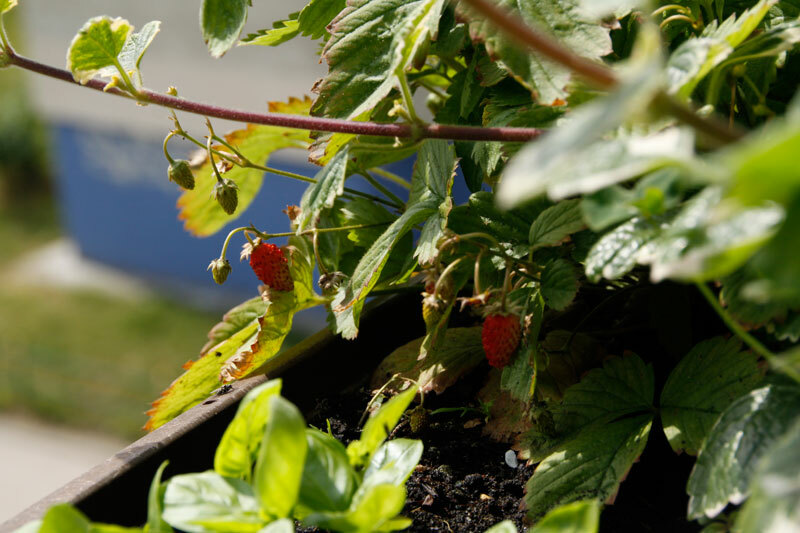 The qualification for the first year of the course is FETAC Level 5 Horticulture. Recently, FETAC re-wrote all courses nation-wide and we now have some new modules and have lost some old ones. 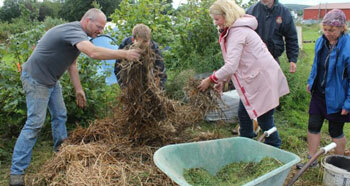 The Permaculture module is still there, and includes natural building and woodland management. 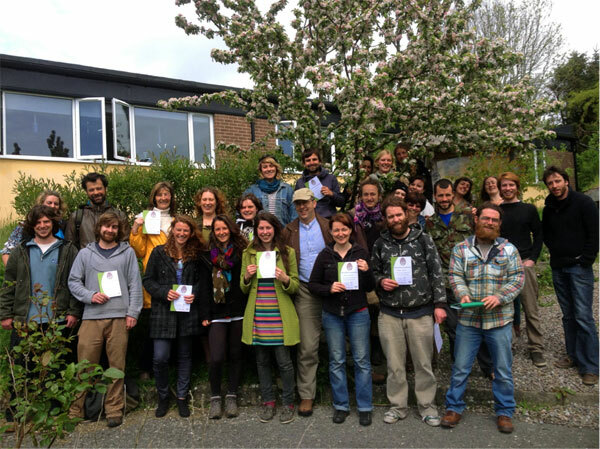 This years’ (class of 2013-2014) Permaculture Design Course graduates with their certificates. Teachers: Suzie Cahn, Hannah Mole, Lusi Alderslowe | Plus Guests: James Carrol Stickman, Rob O’Brien, Wendy Nairn & more…. | Sliding scale course fee: €600-1200. Join this strong team of expert teachers for 12 days of intensive heads, hearts & hands-on permaculture learning at the beautiful ‘Carraig Dúlra‘ in the South East of Ireland. 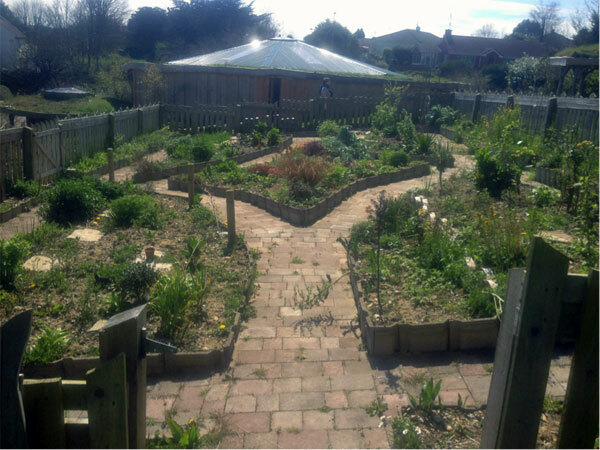 This 8 year old permaculture smallholding site lends us the fantastic opportunity to explore practical elements of land-based permaculture interconnected with community engagement initiatives & permaculture based livelihoods. Earth care, People care & Fairshares in action! The diverse teaching team offers a high standard of engaging teaching methods; practical, theoretical & experience based learning in a collaborative, productive & fun learning environment. There will be a practical element to each & every day! Forest Gardening, Landscape water harvesting systems, Natural building, Woodland skills, & Foraging weave through the course and we will also get off-site to visit other nearby projects. 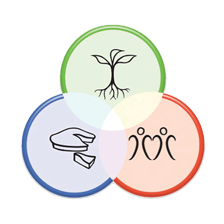 What is permaculture design and what does it bring? Do we need to save the planet? 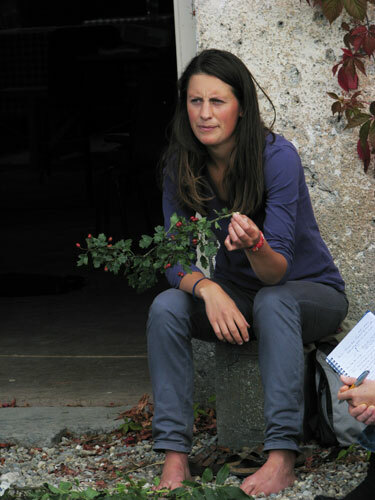 Philippa Robinson from Cultivate tells us what we can learn from the nature and how. What do billions of years of resilience have to teach us? Experience seems to suggest that being on a mission to “save the planet” is actually an unhelpful perspective to taking the action needed to reduce our environmental impact. It’s not the planet that needs saving. As nature is dynamic, always changing, turbulent and unforgiving, any “return to nature” thinking needs to be reframed to look at how we best cope with a rapidly changing world. As natural systems are resilient, abundant and self-organising, think of what we might learn by observing and emulating them! With nature as a teacher, we could make things in ways that don’t impact the environment and do strengthen our resilience, as well as design systems that will allow our lives and communities to flourish. This is the essence of Permaculture. What is the Gathering About? 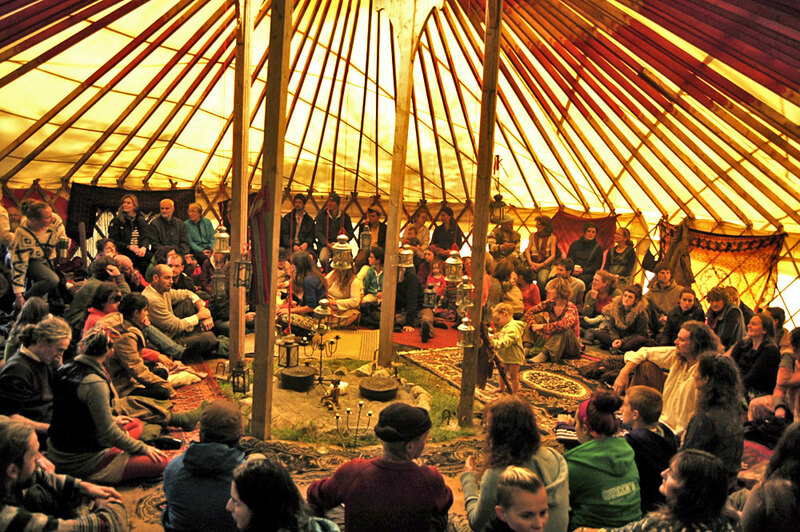 The All-Ireland Permaculture Gathering is about bringing people and ideas together who share a common interest in sustainable and ethical methods to building a better world. First held in Co. Wicklow in 2011 between 200 & 300 people have attended the gathering each year since. 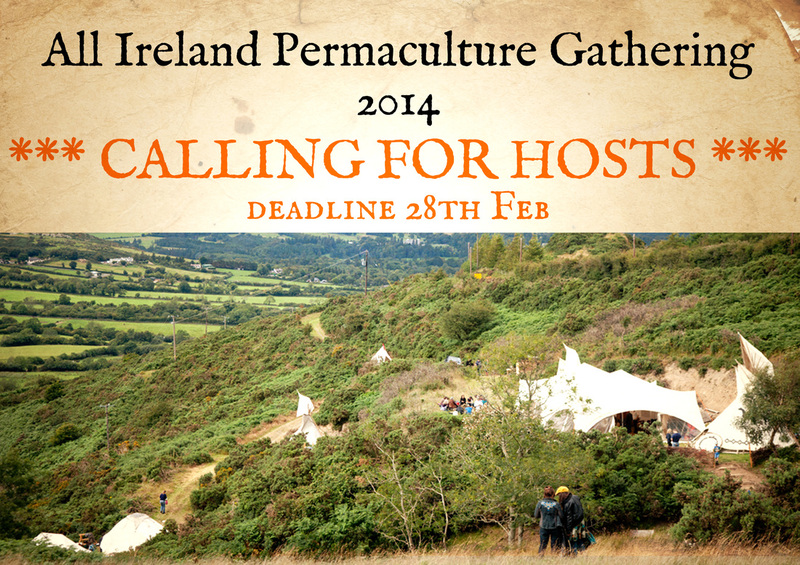 It is a weekend camp in a private location to that supports the development of Permaculture in Ireland by providing an opportunity to network, celebrate and learn together. It is not a passive event laid on by others, but rather an active participatory gathering which is co-created by the a year team and camp attendees. 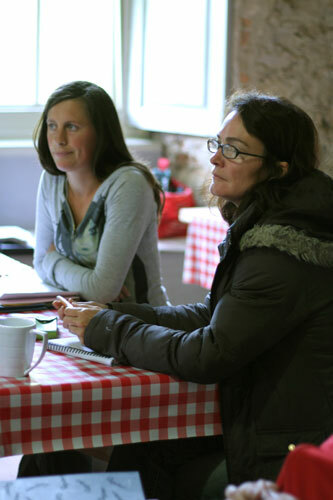 People come and host talks and workshops, share skills and information and participant in this dynamic community event. The gathering steering group formed from past gathering members works to give continuity from year to year. Hosting Info (link) gives more details on organizational structure. Using biological resources instead of fossil fuels is common sense in a world that is warming, but there is more potential here than first meets the eye. Maddy Harland explains. Photo: Beans instead of blinds shade the passive solar extension at the Harland’s house. Wherever possible permaculture advocates the use of biological resources. The most obvious example is on the farm and in the garden. Instead of buying a bag of chemically produced fertiliser, we can grow nitrogen fixing plants on site, such as Siberian pea tree, gorse or broom. These feed the food plants around them, both from their roots and from being cut and used as mulch around the stems and trunks of the food plants. We are happy to announce our 5th straight year of hosting a fully-accredited (by UK Permaculture Association) Permaculture Design Certificate Course in Cloughjordan’s Ecovillage. Join us from 9 – 18 August 2013 for this changing-the-game event of a lifetime. 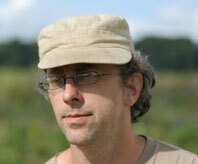 The main course tutor will be Albert Bates! All details are on Cultivate’s main website. 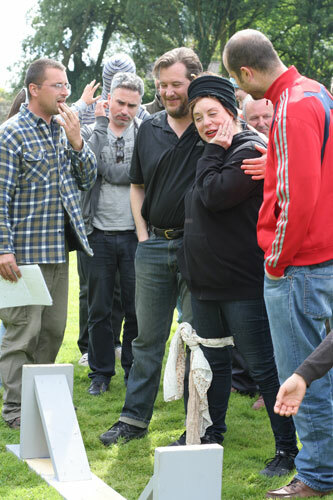 Check out Goska and Gudrun’s brilliant photos of the August 2012 Permaculture Design Course at Cloughjordan Ecovillage, Ireland, on our Images Page. 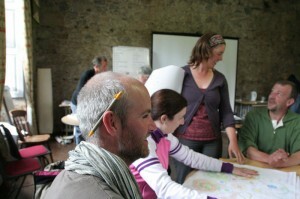 We are excited to announce details about our 4th Permaculture Design Certificate Course at Cloughjordan’s Ecovillage from 17 – 26 August 2012. 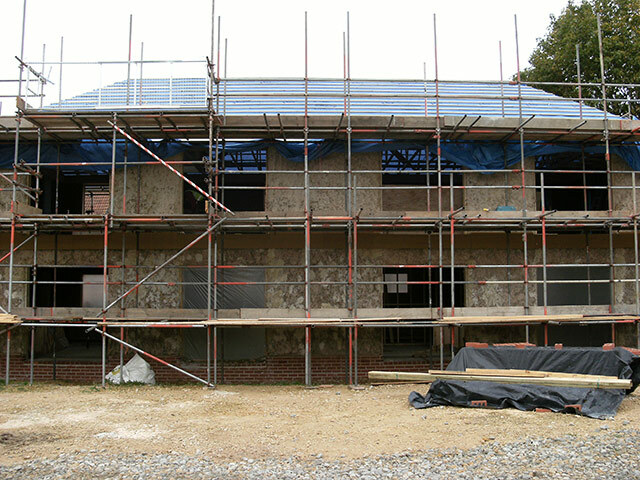 See here for the latest. 200 photos by Goska Smierzchalska in our image gallery here. 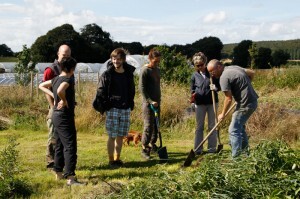 Taken at Cultivate’s August 2011 Permaculture Design Course at Cloughjordan Ecovillage, Co Tipperary, Ireland. 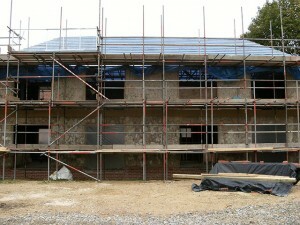 Sharon Watkins wasn’t the first to be offered one of two new council houses in an isolated village in Lincolnshire. “Other people refused and I could have said no because I don’t drive and it’s in the middle of nowhere,” she recalls. 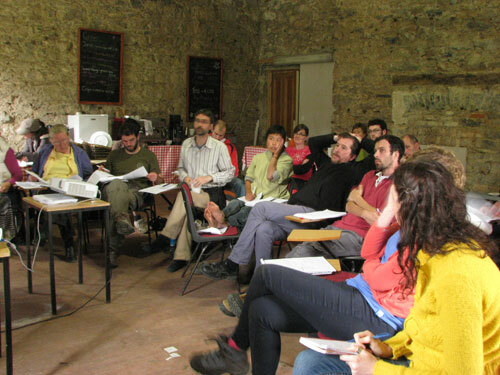 Join us at Ireland’s EcoVillage, 19th – 28th August 2011, for a fully accredited, immersive, cutting edge ‘ PDC ‘ (Permaculture Design Certificate Course). All detail on www.cultivate.ie. UPDATE, 19 Feb 2014: This event is now a yearly event. Join! Biochar article from Climate Progress – a respectable US Climate Science site – about different biochar experiments around the world. It estimates potential for carbon capture at around 12%, but focuses on potential for soil enhancement and also notes different qualities depending on materials used.